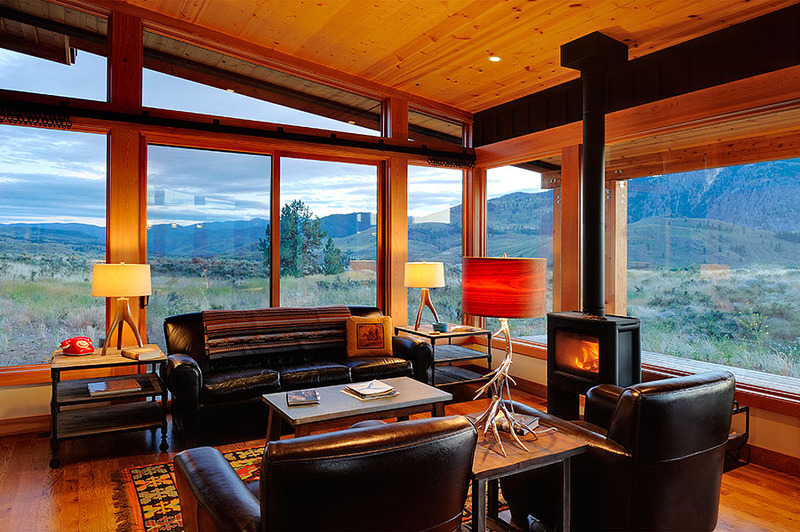 At only about 1,400 square feet, the South Range cabin perches compactly on the edge of the Methow Valley, between Twisp and Carlton. The simple rectangular plan is divided into two master suites and a great room that address the Cascades Mountains to the west. The generous veranda roof tilts downward in that direction, creating shade in the summer and protection from snow in winter, but without blocking the expansive views. The elegant simplicity of this small house kept it economical to build while retaining a true spirit of place.